elisi | Happy New Year's! Now we just have to get makeup tutorials popular on Youtube about how to properly airbrush a black streak over your eyes. I googled smokey eye, and it's kind of similar? It's dark eye make up, we can go with that! My makeup skills include putting on lipstick, removing lipstick after it makes my mouth feel weird, getting way too itchy to wear makeup out to social occasions for any length of time, and flinching at all of the pointy-looking things you're supposed to you on your eyes. It's dark and it looks smudgy around the edges! Good enough! Cool. 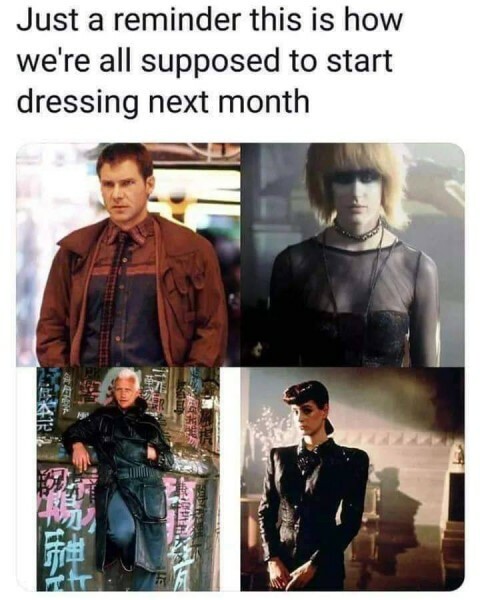 That and a trench coat, and we're set!